Stinson Lenz Freelance Design: Desert Hare, Redesigned! the first rough sketches of Desert Hare, redesigned. I'm always trying to feel out who she is, and what she does. Sometimes that necessitates a reupholstering. Personally I'm pretty excited about the new outfit. It's both more visually appealing, and also implies a duality to the character (in a blunt sort of a way) suggesting a clash between daintiness and brawny action. 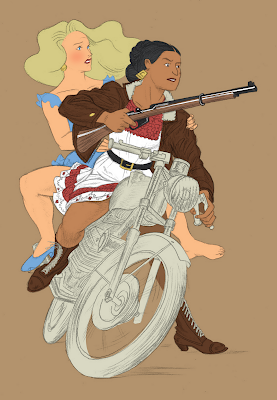 And here, as promised, is a rough of the Desert Hare rescuing a classic damsel on a motorcycle. Enjoy! Careful. The red panel in her chest makes it look like she's wearing am apron. I immediately thought "maid". 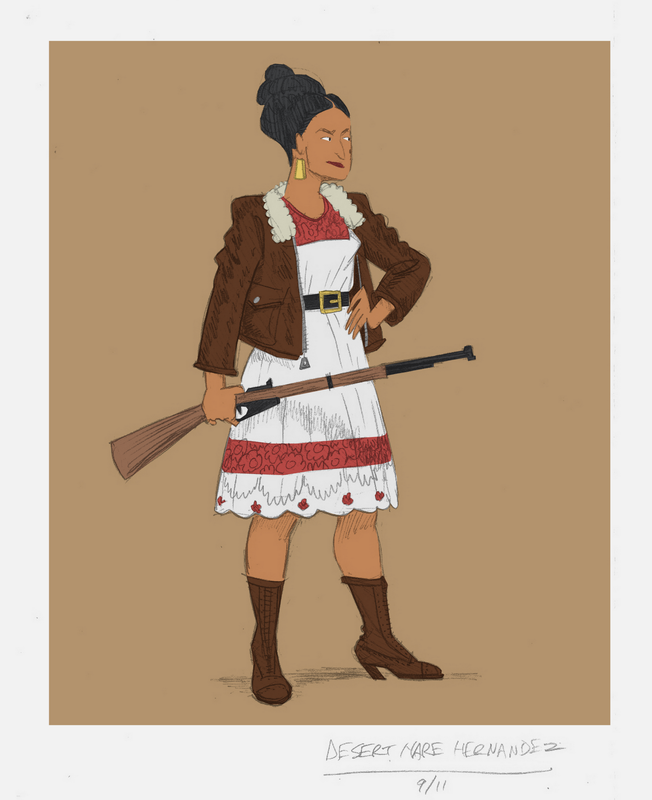 I totally love the duality -- the cotton lace with the sheepskin leather, the dress with iron-toe boots. I'm not crazy about her ultra square jaw tho... I liked her face better a few iterations ago, ie from Nov last year, when you posted her bio (especially the inset).